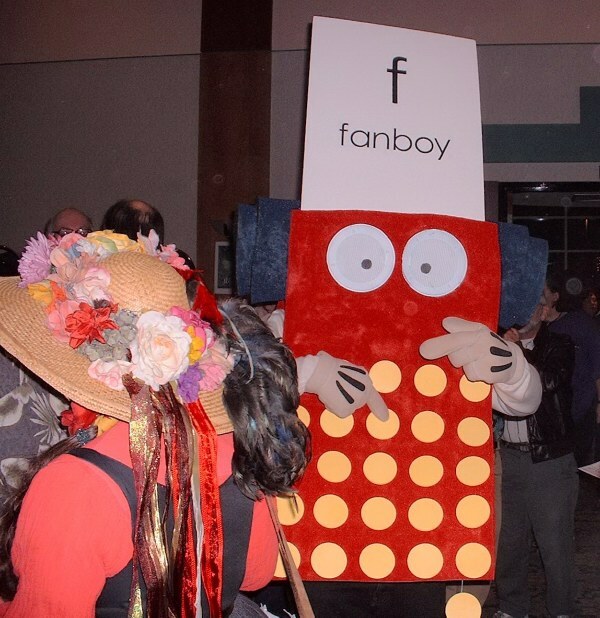 In keeping with Loscon's "Education" theme, the letter "F" sponsored the traditional Friday night Ice Cream Social. 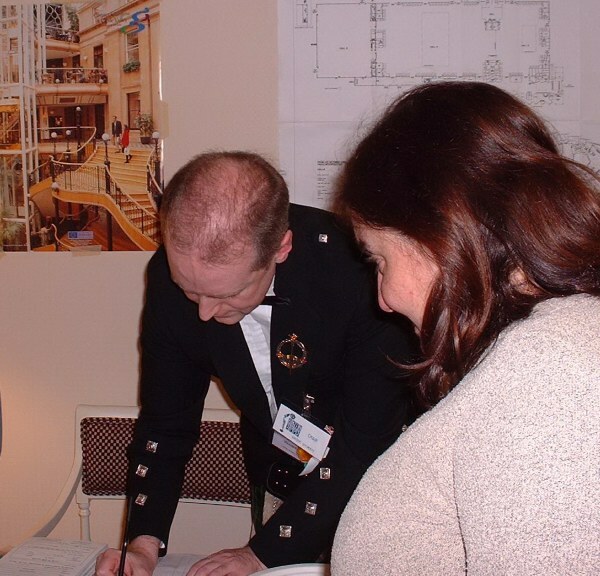 Vince Docherty (kilt not shown) signs up a new presupporter for U.K. in '05. The picture and plan in the background show the new and much improved Scottish Convention Centre in Glasgow, where the U.K's prospective Worldcon will be held. 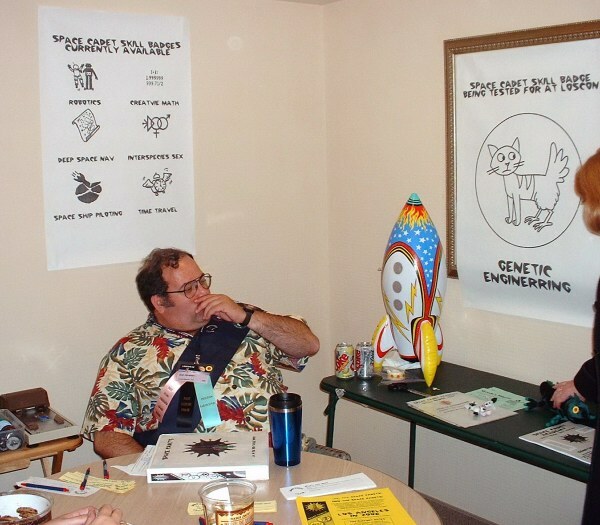 "Dr." Mary Q. Smith prepares to swap Laura Brodian-Freas' brain with that of a rutabaga while a concerned Kelly Freas (right) and an unidentified fan (left) look on. 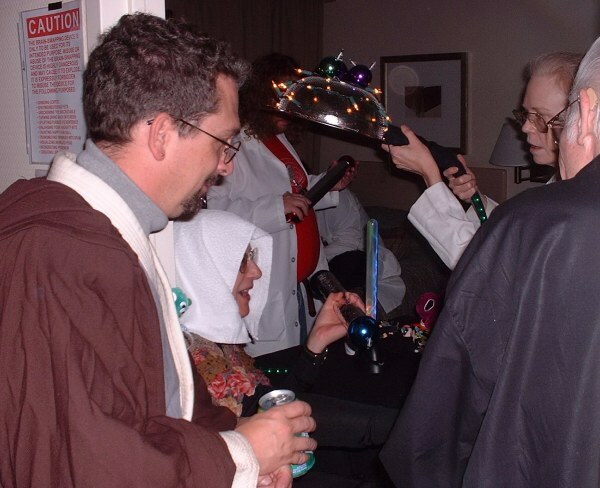 This cutting edge medical experimentation took place at the party sponsored by Conjecture, a San Diego convention. 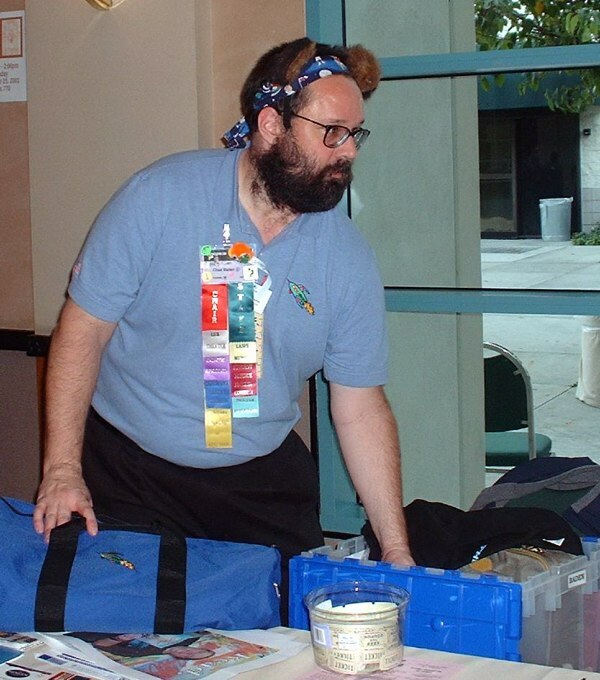 Ed Green waits for aspiring Space Cadets to take their test in Genetic Engineering, one of the many futuristic skills taught by the Los Angeles in '06 Worldcon bid. Panelists discuss fandom on the Internet: Marty Cantor, Fan GoH Lynn Gold, Milt Stevens, Mike Glyer.